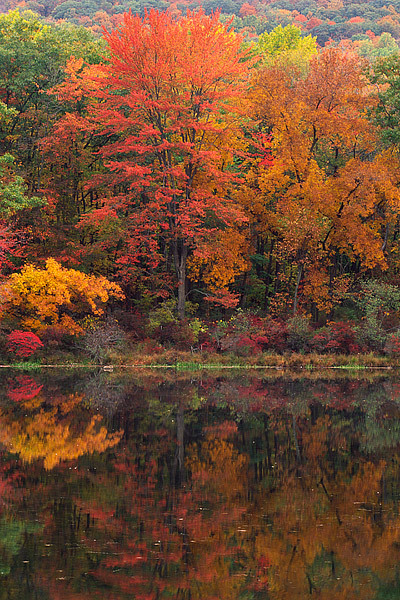 Sugar Maples reflect in Lake Nawahunta in Harriman State Park. Harriman State Park is located in New York's Hudson Valley Region. Harriman, which is located about 40 miles from New York City sports some of the best fall color displays in all the Hudson Valley as well as New York State. Photo © copyright by Thomas Mangan.